Basements Flooding From Plumbing Failures In Clarksville, Nashville, Jackson, Tennessee and Kentucky including Owensboro, Murfreesboro, Bowling Green, Philpot, Utica, Fayetteville, Marion. At Frontier Basement Systems we suggest installing two simple, effective solutions for the most avoidable basement flooding causes. These add-ons will help you to have the best plumbing failure protection available for your basement space. To schedule your free, no-obligation basement waterproofing quote, call or e-mail us today! We're proud to serve Nashville, Clarksville, Jackson, the surrounding areas of Murfreesboro, Owensboro, Philpot, Bowling Green, Fayetteville, Marion, Utica, and many nearby areas. At Frontier Basement Systems, we want to help you keep your basement dry and flood free. To help you decide which options would work best for you, we offer free basement waterproofing quotes to all homeowners in our Tennessee and Kentucky service area. To schedule your free, no-obligation quote, call or e-mail us today! 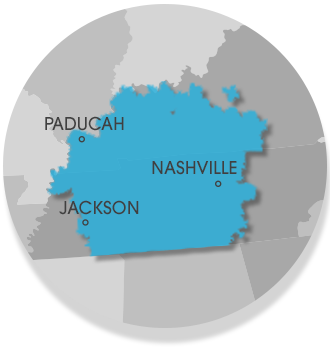 We proudly serve Jackson, Nashville, Clarksville, surrounding areas such as Bowling Green, Murfreesboro, Owensboro, Utica, Fayetteville, Marion, Philpot, Leitchfield, Franklin, Mcminnville, Paducah, Shelbyville, Hartford, Antioch, and nearby.